Cornstalker Kennels was birthed about 20 years ago out of a family heritage of hunting together. 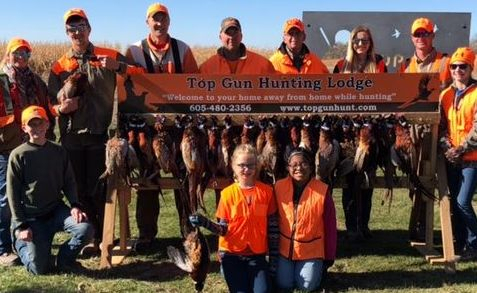 Our grandfather began pheasant hunting the NW Iowa Ringnecks back in the 1940's and passed that legacy on to our father in the 1960's. As a child, I used to hear stories about a legendary dog which my grandfather esteemed as irreplaceable, a German Shorthair Pointer named "Kinger". You see, we chose the temperament and nature of the Labrador Retriever as our bird dog, yet grandpa had a longing to hunt behind a pointer again. One day a friend of mine told me he was getting a "Lab that would point". A couple years later I hunted behind that Lab and witnessed the very action my grandpa had been raving about; a pointing gundog. I knew right then that the Pointing Labrador was the total package: temperament, retrieving, marking, water, companion, AND pointing. I ended up getting a puppy out of that bloodline and she became our first APLA Certified Pointing Lab back in 1999. Grandpa was able to hunt behind her (Adri) while she was in her prime years before his hunting came to an end, and he ended up raving about Adri when he told hunting stories in his last few years here on earth. 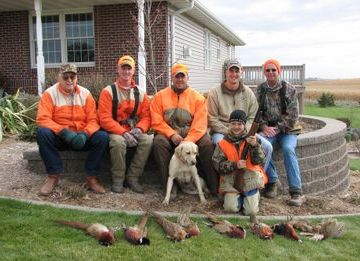 We have continued our family traditions of faith and hunting. Hunting and enjoying God's creation together have marked my life and will shape the next generation as we continue to lead them. As my father always told us, "it is not about the kill, that's the gravy; it's about being together in God's creation and giving Him thanks for it all". May we lead the next generation with the same spirit of our fathers and may they encounter the King in their experiences in the great outdoors.